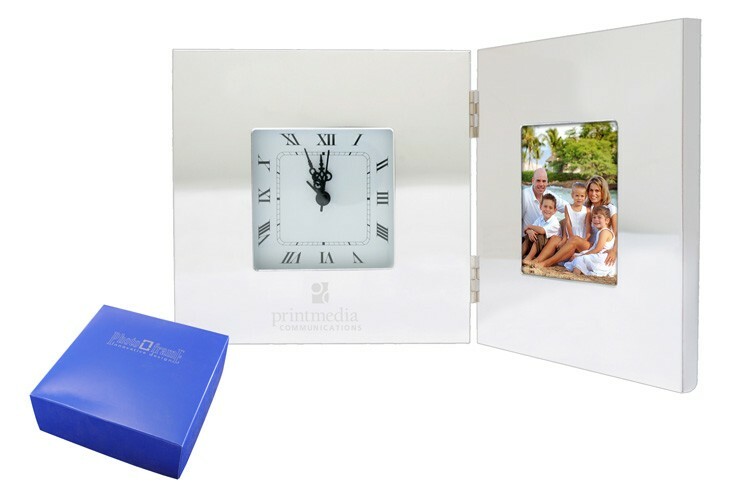 Hinged mirrored frame wit analog clock. Holds 3 x 3 photo. Laser engraving, Batteries and Gift Box included.